Caves are a secret world: a quietly beautiful world. When we humans take an adventure there, we are immersed in a totally different environment – like being on the far side of the Moon. Visiting the caves is an opportunity to experience living geology. You will see many beautiful structures – including stalagmites and stalactites – that form inside caves as water drips through cave roofs and onto their floors. These structures can take millions of years to develop. 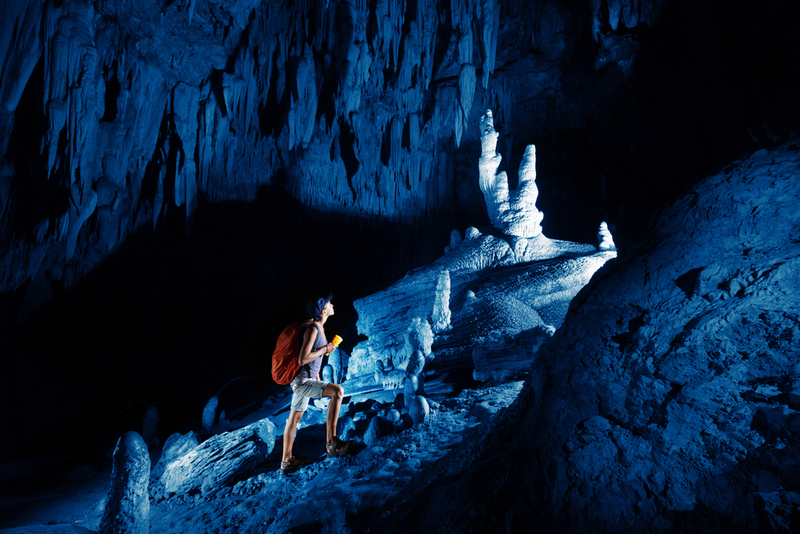 The limestone caves in Fiji have been interwoven with the Fijian people for ages. According to an article in the Fiji Times, the Oho Cave in Tau village is one of the first Fijian settlements – dating back 4,000 years. The spacious cave must have been a welcome sight to the first settlers. As time went on, tribal warfare developed, and the cave offered a secure, defendable site. It even came equipped with bats that were useful as an early-warning sign when intruders were approaching the cave. As the times became more peaceful, the Tau people moved their village out of the cave. But to this day, the villagers maintain a “refuge cave” in a secret location that they can use if the village is attacked. The Main Cave is huge –one of the largest in the South Pacific. Our guides like to explain that three Boeing 747’s jets could fit inside. The Main Cave has a huge chamber with a “skylight” (a part of the roof of the cave collapsed years ago, allowing some light in). From ceiling to floor is 100 meters (330 feet), and from one side to another is over 220 meters. 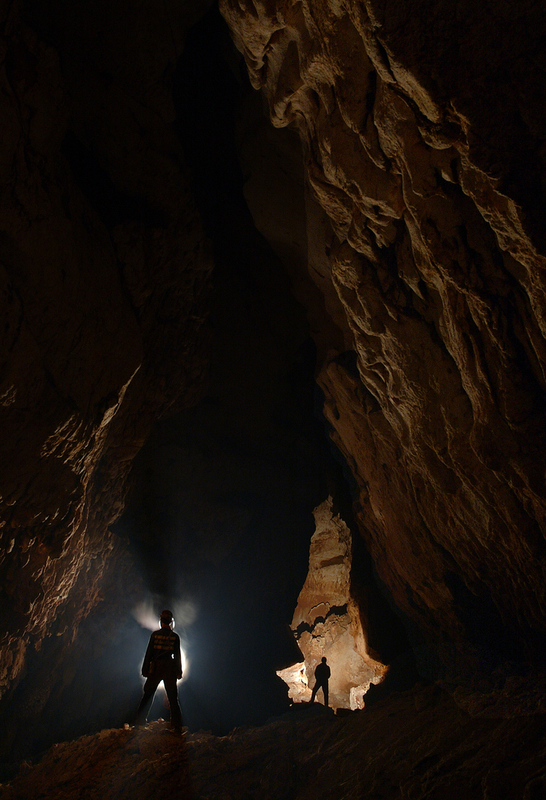 The cave is so big that in the future we plan to have Zip Lines running through it. There’s another leg of the cave that goes deep underground and is very dark, with lots of stalagmites and stalactites. Another fantastic feature of the cave is birds. Hundreds of thousands of Swift birds nest in the roof of the cave. This many birds naturally means lots of bird droppings, and there’s a slight odor, as is common when caves are homes to birds. There is another cave just below the main cave. This Lower Cave (30 meters from top to bottom) is much smaller and round in shape. 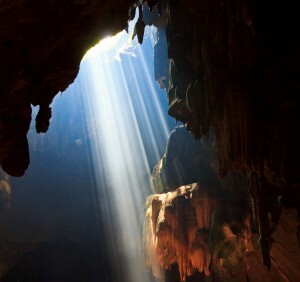 It too has a “skylight”, located perfectly in the center of the cave, which provides a lot of light. Below the Lower Cave, there’s the Secret Cave. It’s actually more of a passage, and is filled with stalactites and stalagmites. The Secret Cave leads into Hidden Valley – a section we haven’t fully explored yet that has at least six other caves. Walks through the Main Cave and Lower Cave are part of the Nadi Zip Line Tour. For more information about tours of the caves, contact us by email or by phone at 679-628-6481 (office) or 679-930-545 (mobile).